The derivative of sine is, famously, cosine. But how could we know? 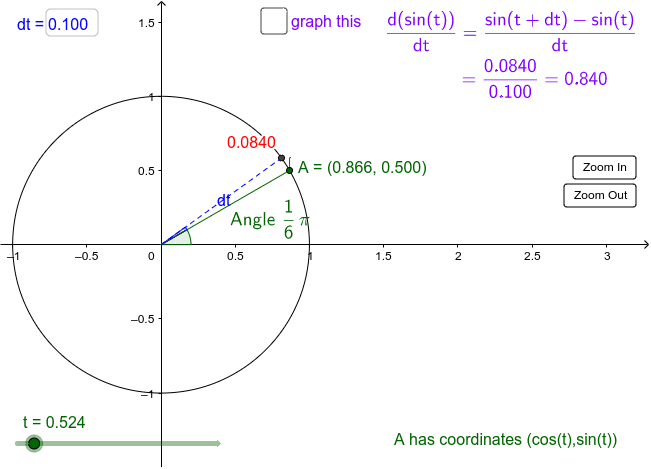 Compare cosine (x-coordinate of A) to the ratio d(sin t)/dt, handily computed for you. Try smaller and smaller dt's. What happens?